After seeing the walleye and other action that Bobby had last night, I couldn’t resist going to give it a shot myself. I figured I would get there early because the bluebird day would shut the bite off early. Having never been there, finding the sweet spot too a bit. As it turned out, I didn’t successfully land any fish there but I had a little action. Learning to differentiate the difference between a rough bottom and current compared to a bite took a bit. I had a few instances where I thought I had a bite but wasn’t positive. Pulling my jig from the water my worm would be gone leaving me to believe that It was a fish. It wasn’t until I had my rod double over that I knew there was a fish on! I caught the fish in slack water. As I brought it slowly in, I fought the fish gingerly as it worked in and out of the current. About half way in the fish rose to the surface, revealing that it was a walleye, and started to roll. I tried to work my way towards slack water with the fish but it was able to make its way back into the current and shake loose. With the next few hours warming and fishless, I packed it up and went to check some other water for bluegill and pumpkinseed. After checking a few spots and feeling the water, I realized that it was still too cold for the intended species to be in the area. 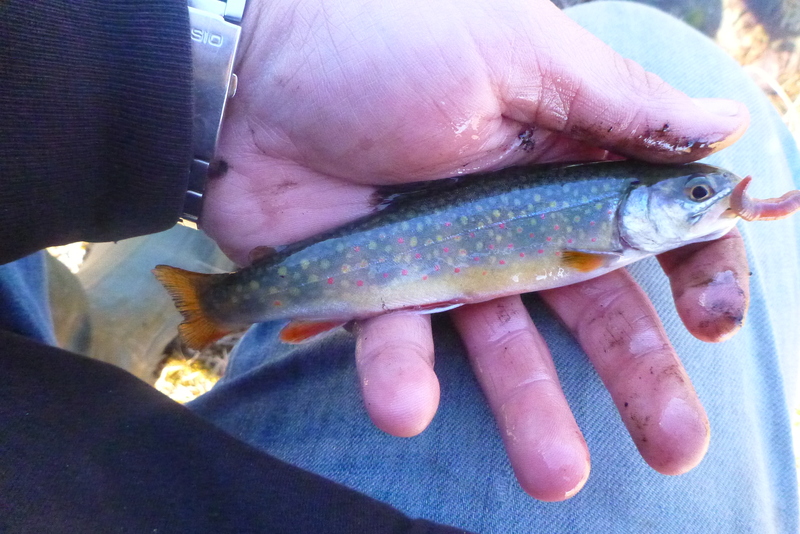 My last resort was to go try to pluck some brook trout from some small mountain streams. I went high thinking that the water flows would be lower and less murky. I was spot on with the clarity of the water but it was still plenty high. I worked a jig head rather than sinkers thinking that I would be able to get my bait lower in the water column to where the fish were. 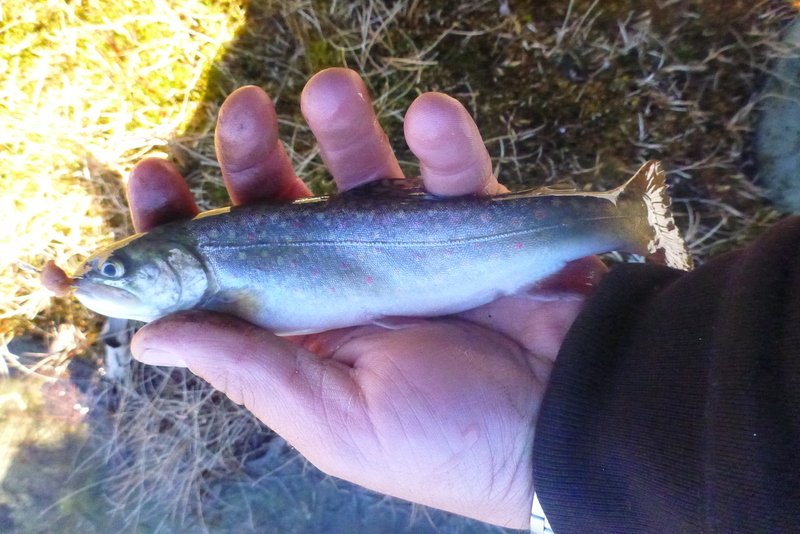 After missing a few fish, I put on snelled hook with a worm and started casting to any slack water that I could find. This method proved to be effective. The fish were rising to the surface so having my bait on the surface worked well. I was able to catch 6 small brookies before having to head home for work. Even though the fish weren’t flowing right to my hook, a day of fishing is always great!